Firstly, I would just like to say that as today is Remembrance Day, thank you to all of those who have paid the ultimate price for our freedom, and also to those who continue to fight for it. Now, before I went on holiday, I put up one last call for questions from readers on my Facebook page. So this is the last batch for now, but since they prove to get a good response, I will probably do this again in the New Year. So, without further ado, here's the final lot of questions from readers. Why do you use the label "Bug Books"? When I was first published by Author House, I was approached by a traditional publisher who wanted to give me a contract, I accepted, and then lost the contract due to health reasons. I was then approached and asked about starting my own independent label. For as long as I can remember I have been known as "JoeyBug" online and the name "Bug Books" became the label that I would use. My plan is to one day start to publish other people's work under the same label and turn it into a small independent publishing house. That may never happen, but for now that's my plan. How long do you plan to make the Dying Thoughts Series? 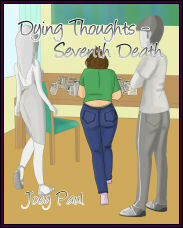 Originally, the DYING THOUGHTS series was only supposed to be five books. My original contract was for ten books, five of which would be standalone stories. It was only when I had written the fifth book and left it with a cliffhanger of an ending that I thought about expanding the series. 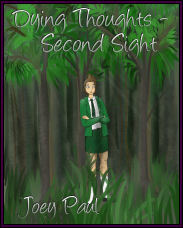 As it stands now, I will write the series until Tara enters the police force and has finished college. I was thinking that would be around seven books, but as I'm writing book six and she's only just started college, it may be a few more. I don't want to overdo it and ruin the series by continuing it for too long, but at the same time, I want to give her the ending she deserves. Do you ever start a book and then lose inspiration and never finish it? Since I become a full-time writer, no. I have always finished the books I have started. 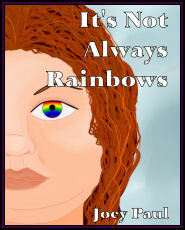 They haven't always ended up being what they started off as, but I have used the characters and put them in a different story, like with LYNNE & HOPE and one of the books I'm working on now. However, before that, I used to write with a friend at school. We wrote "books" and although one of them has now been taken apart and is unrecognisable as what it was, another one or two will never see the light of day again. I often joke with B, my best friend of many years, that it would be my worst nightmare if one particular story was to come to light. It was so unbelievable bad, but when you're thirteen, these things seem like the best idea ever. I am, I am in a complicated relationship with a guy called Scott. It's complicated for a number of reasons, one of which being that we live 4400 miles or so apart. It's a long story as to how we met, short version is that I went to the USA in 2002, met him while I was there, planned to keep in touch, lost touch, then in 2010, he found me through BLACKOUT and came to stay and from there we developed the relationship we have now. I have, I'm actually in one now, as mentioned up above. I have also been in a couple in the past that didn't work out for various reasons. Do you read a lot? If so, do you think it has influenced how you write? I read a lot of things, like crime novels and chick lit and romance. 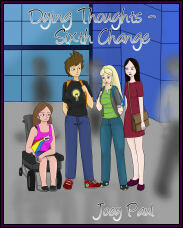 I also like the odd young adult dystopian fiction and I do think that it has had some effect on how I write. I mostly read adult books, and I write young adult so there is a difference there, but there will be times that I'll read a book that is similar to my own style of writing and find inspiration. I'll read when I'm waiting for hospital appointments, in the mornings when I wait for the school bell to ring, again when I go to pick up Miss D and moments in between. Reading to me is like breathing, it's something I have to do to survive. It's one of the reasons I love my Kindle Fire so much because it means I can carry an array of books with me and dip into one world and then into another without having to move. I like crime procedural shows, like NCIS or NCIS: LA. I also like to watch Castle but I can also be found watching Grey's Anatomy because I like medical shows too. I watch some sci-fi, like Doctor Who and Fringe, as well as Warehouse 13. I didn't watch as many TV shows before I discovered the joys of Netflix though, so now I can be found curled up with my Kindle Fire or my tablet watching a show from start to finish. Right now, I'm nearing the end of Fringe, Quantum Leap and also watching NCIS and NCIS: LA week by week. Have you ever finished writing a book and then decided not to publish it? I have never had that happen yet, but there is always a first time for everything. Due to the fact that I work so far in advance, it could be that between finishing the book and getting it ready for publication, I make a lot of changes and edits and that could mean that what I declared finished all that time ago is vastly different from the published book. Never say never though. How do you juggle being a student and being a writer whilst being sick? It is hard, there have been times when I've gone years between writing spurts. That's mostly the extreme though and more to do with lack of inspiration and finding something else to fill the gap of time that I would have spent writing. Since about my third year at university, I have been juggling uni work and book work the majority of the time. There was some talk about me taking a year off to write, but I found I couldn't do that and still complete my degree in the time left. 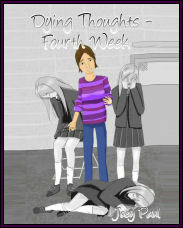 I usually set myself four chapters a fortnight, so two a week. As I write two of one book before switching to the other, it usually means that I spend a week on each book. Recently, I was in hospital for ten days and I found the easiest way to avoid worrying myself into getting sicker is to accept that sometimes, life just gets in the way. Due to the fact that the university I attend is mostly distance learning, I am able to get ahead of the schedule which enables me to take weeks off for sickness and not have to worry too much. I try to apply the same to my writing, I have the next book for publication done, I have no deadline and it's much better to spend energy on getting better again that to waste it by worrying about things that I have no control over. Describe an average day of being a writer? My day usually starts at 7am, when I get up, have tablets and tea and read through the internet while eating breakfast. I take Miss D to school for 8:40am and we get back at around 9am. 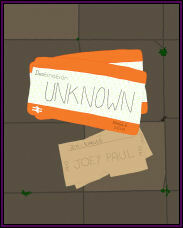 If it's the beginning of the week, I'll spend a couple of hours on uni work, if not, I'll dive right in to book work. I'll update my Facebook page with a plan for the day and say hello to my followers. Depending on what needs to be done, I'll start with a blog post, or emails that need answering. Once that is done, I'll get down to the actual writing part of my day. I'll read through what I've previously written (usually the last two chapters) and get on with some writing. I'll do that on and off until we leave to pick up Miss D for 3pm and then we're usually home for 3:15pm. As I find it harder to work when she's around, I'll go back to doing admin work, whether that's organising promotions, or a give-away or answering more emails. I will then stop working on book stuff around 5pm, have something to eat and head up to bed where I'll read and/or watch Netflix before going to sleep around 8-10pm. How many murders have your plotted? Do you ever get stuck thinking up cases for Tara to solve? What can you see from your office window? I live in an historic part of town, so right outside my window is the old Railway Works which are, at this precise moment, being turned into a technical college. A main road also runs in front of that so I have the constant noise of cars turning the corner and driving down my street. 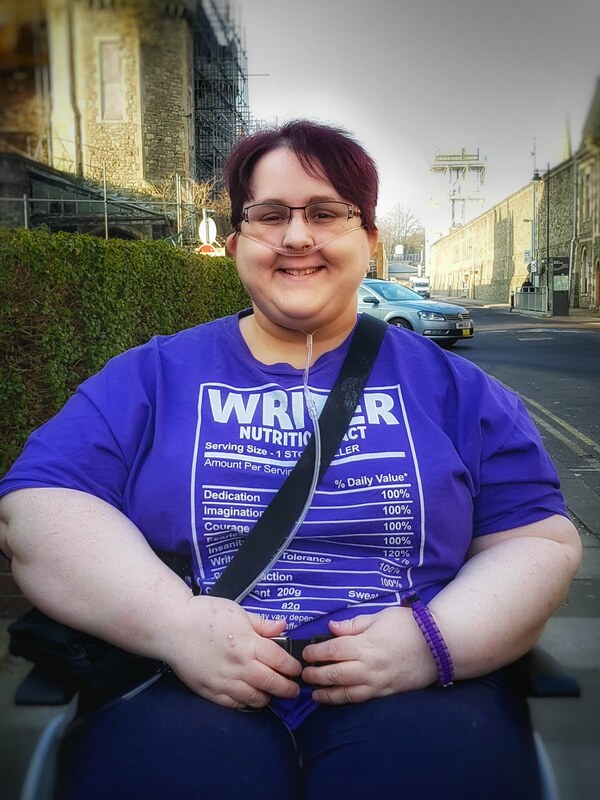 Does being disabled and chronically ill have an influence in what you write? I would be lying if I said that it didn't have some effect on what I write. 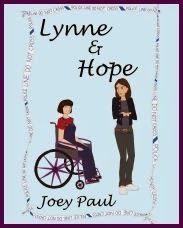 Hope from LYNNE & HOPE was disabled for a number of reasons, one being that at the time, I had recently become reliant on a wheelchair to get around outside of the house. Another being that I wanted to have a main character with a disability to give some representation to those young people who, like me, live with chronic illness and/or a disability. 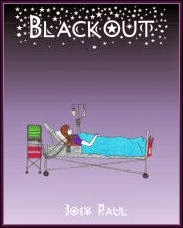 In my tenth book, the mother is disabled and actually has two of the conditions that I suffer from while another character who bears the brunt of my own illness is Lisa from BLACKOUT. I want to show people, particularly young people, that they are not alone and that a lot of people have disabilities that may not be seen, or may be the only thing people see. What's the best part to write in a book? I have to say that for me the best part is both the beginning and the ending. There is no feeling like starting a book and writing those first few words and thinking "yup, it's started now so there's no going back!" But also, there's a rush that comes from typing those last few words and thinking "I did it, it's done!" and knowing that you've come all this way, used all this time, typed all these words and you've told your story. I can't choose between the two as to which is the top choice because for me, they both feel so exhilarating and the adrenaline rush is out of this world. What's the worst part to write in a book? The worst part for me is writing what I call filler chapters. They're chapters that are needed because they move the story along, but they don't contain huge amounts of plot. 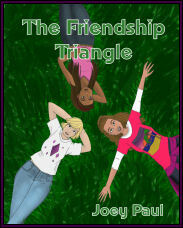 They're usually Tara or whoever going to school and having a lesson or a conversation where things are said or done that help with the overall story or a mini-plot, but they are the most difficult to write. At least that's how I've found them. They are usually the chapters that I get stuck on, or find that the writing doesn't flow and they can be my downfall in getting my four chapters written. I use them less and less these days, but they do still happen and they're usually at the beginning of the book when you're setting the scene. They also appear sometimes in the middle, but generally, as you approach the end, there is little need for them, which might be why I like the ending so much! How do you avoid losing your flow when you get interrupted? With a nine year old in the house, you have to accept that you're going to get interrupted. Add to the fact that I can't sit for too long without huge amounts of pain and it's something you learn to work around. Sometimes, I'll shut my office door and it has a sign that says to knock if you hear typing and thankfully, both B and Miss D have learnt that not knocking usually leads to shouting so they do follow that. Other times, I plan my writing hours when Miss D is at school or when I have the house to myself. My advice to anyone who writes and doesn't live alone (or even those that do and have the phone ring or something) is to work through the interruptions if you can and if you can't, try to plan your working hours when they will be kept to a minimum. Do you have set writing times or do you write when you want? I do and I don't. 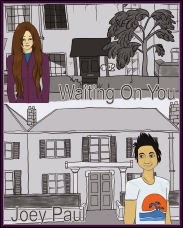 Like, today, I've finished my uni work and after this blog post I plan to do a couple of chapters of editing of WAITING ON YOU before moving onto doing some writing for book eleven. If all goes to plan and my muse sings, then I will carry on with this schedule until I hit a snag - be that writer's block or interruptions. However, the beauty of being able to write when I want - within reason - means that sometimes I will do just that. I find inspiration, I open my word program and I just type away and don't worry too much about time. 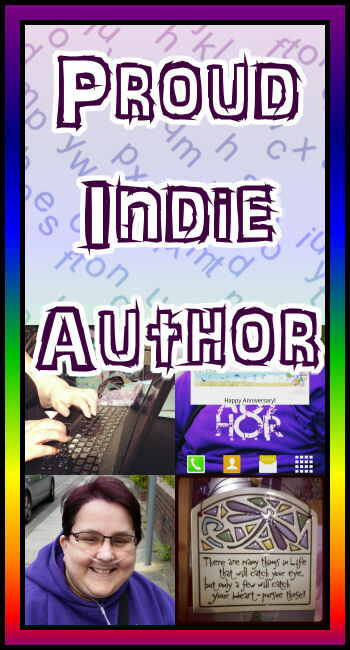 What's the best part of being an indie author? 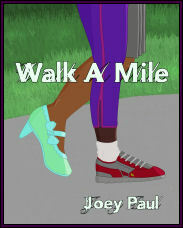 The best part is having control over when I publish. 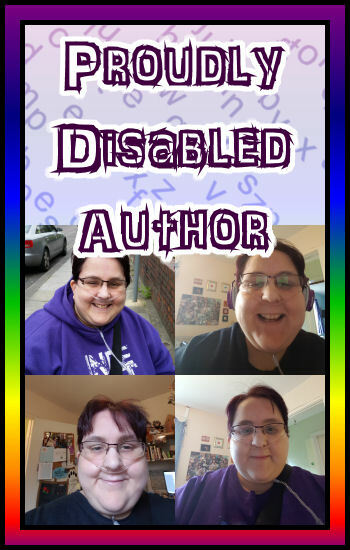 Due to my health conditions, I don't do well with deadlines and because of that, being an indie author means I can control when a book is released and when it's "due". I don't have to worry about being harassed by a publisher or editor about getting a certain number of chapters to them by x date. I also don't have to worry too much if editing takes longer than expected. It's my decision to release a book a year, it's under my control if I choose not to release that book until later than previously planned. I guess you could say that I'm a little bit of a control freak. What's the worst part of being an indie author? Probably the amount of work it takes. When you are traditionally published, a lot of the work is taken away from you because that's the publishers job, to edit, to promote, to make sure that you have all the time you need to write. I also don't like the attitude held by many people in the writing world that because I'm an indie writer, that means that my books are automatically less worthy of being for sale, that I am not "good enough" to make it professionally. Attitudes are changing as indie publishing becomes more and more popular and accessible, but for now there is a divide between those who believe that being published traditionally is the only way to be a "real author" and those that don't see it that way. What has been your most embarrassing writing related moment? I don't really have one, but I can think of a few things that would be very embarrassing, like one of those stories I wrote when I was thirteen seeing the light of day, or worse someone getting hold of them and publishing them...argh! I'm breaking out in a cold sweat just thinking about it! My editor is a friend of mine called Kim. It's not her day job, but it is something she excels at. She's great at not just picking up on grammar and spelling issues, but also on plot holes. At one point whilst editing DYING THOUGHTS - THIRD WISH she noticed a huge one, but she was able to see that it was a place where I'd obviously started laying the ground work, but had then gotten distracted and forgotten about closing the hole. She is thorough and goes through my work with a fine tooth comb, plus she likes my books which is always a plus. And finally, do you think you'll ever run out of ways to tell a story? When I am nearing the end of a book, I find that I start to get a little panicked and anxious about what my next two stories will be. 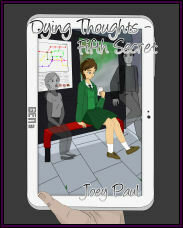 With the DYING THOUGHTS series, I usually have some idea where I'm taking the overall story and can then work out the major case for the book. However, with the standalone stories, sometimes it takes a while for the story seed to grow enough that I can turn it into an actual book. I've always said that I will keep writing until I run out of ideas and *touch wood* it hasn't happened yet. And those are all the questions Joey received. Don't worry if you didn't manage to send one in, Joey will be doing this again in the New Year. 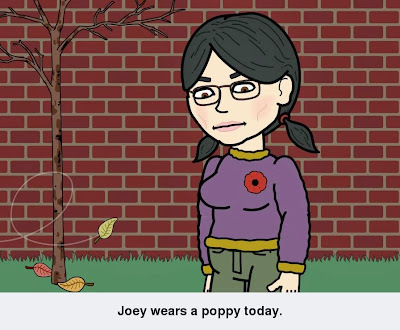 Until then, if you want to be kept up to date with all the news about Joey and her books, you can follow her on Facebook or here on her blog. Hitting 275 likes on Facebook!